My Favorite Funky Shower Curtains for a FUN Bathroom! I love it when it’s time to throw our disgusting, full of mildew, rotten and stinky shower curtain away and get a cool, unique and funky shower curtain! I can almost smell the new vinyl already…. It is amazing how much difference a cool shower curtain can make in our bathrooms isn’t it? It looks like you have a brand new bathroom! I specially like the most colorful and funky shower curtains, of course! Anyways, I hope you’ll enjoy my selections! They are my top favorites! Choose one for you and happy showering! How would you like to set your bathroom ‘on fire’ every time you go take a shower? This is a HOT, FIERY pattern shower curtain! I love all the flames!! Will brighten up your bathroom in minutes! How insane and also very colorful is this shower curtain? It has a unique ‘melting neon colors’ design! Almost like colorful ‘lava’! Will make your bathroom look very cool in a few minutes! Perhaps you would like to travel to London from your tub? 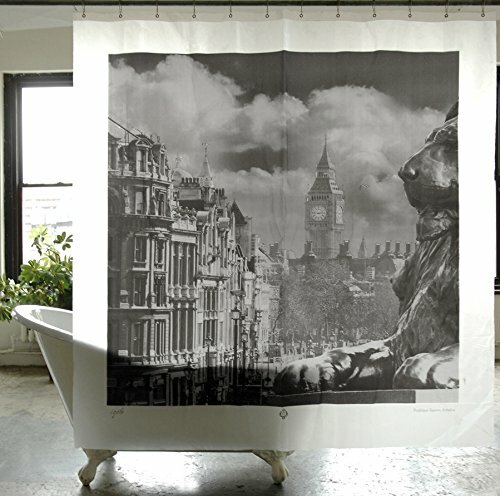 Get yourself a cool London shower curtain! You will find yourself in the middle of Trafalgar Square! Another beautiful black and white photographic shower curtain! The Most Fun Shower Curtains! How cool and unique is this giant hand underwater shower curtain? Great shower curtain for Halloween! 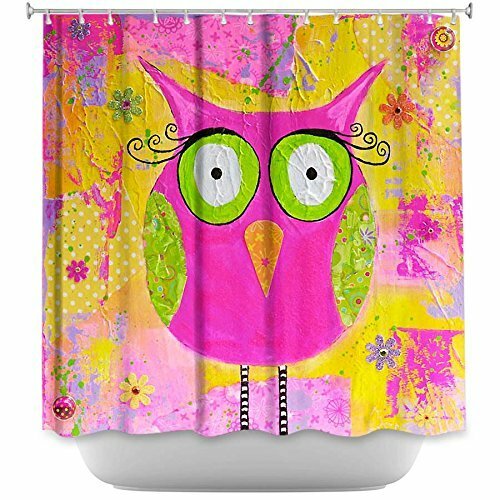 How awesome, fun and colorful is this funky owl shower curtain? If you love owls and you also love funky shower curtains, then this one is perfect for your bathroom! I love her huge and ‘clueless’ owl eyes! Will also make a fun owl gift idea! 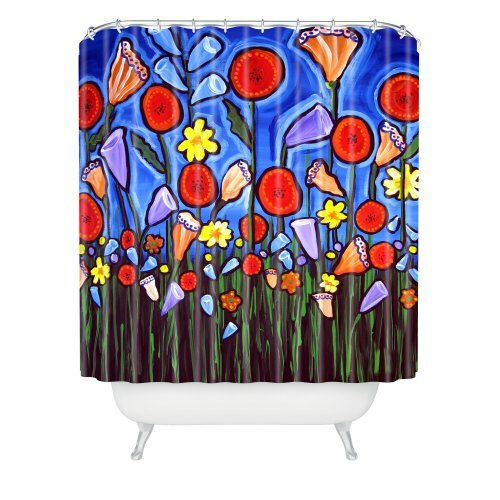 The Most Colorful Funky Flowers Shower Curtain! It’s fun, it’s funky, it’s cool, it has pretty flowers and it’s very unique! Your bathroom has never been more colorful! All your guests are gonna go ‘Wow’!! when they see your gorgeous and very colorful new ‘funky flowers’ shower curtain! Colorful FUN Stack Shower Curtain! 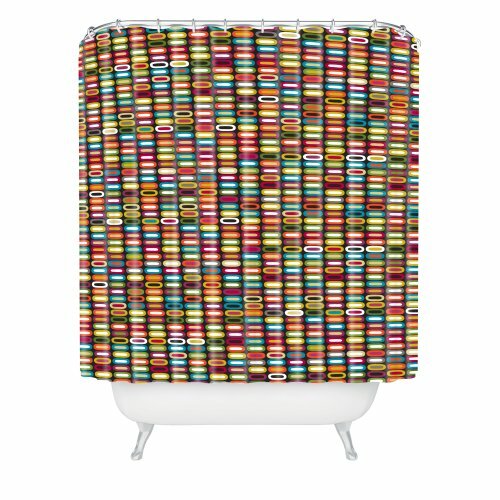 Have you ever seen anything more colorful and FUN than this amazing ultra-funky ‘stack’ shower curtain? If you ever get bored in the bathroom while ‘doing your business’, just start counting all the colorful stack designs! No, it’s ‘the Funky Dots’ shower curtain! Talk about getting funky in the bathroom! Can you count all the colorful dots? 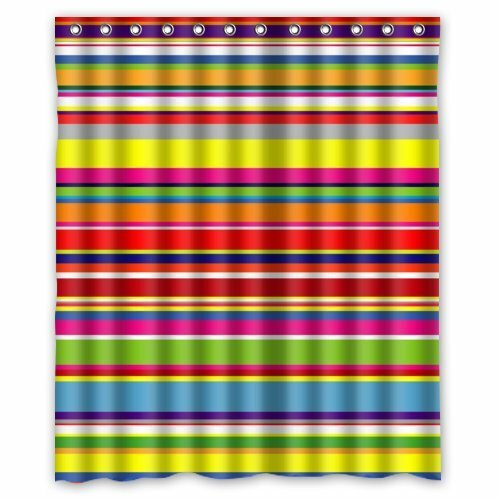 Very Cool and Colorful RAINBOW Stripes Shower Curtain! Striped shower curtains are also very funky! This is a colorful and fun rainbow stripes shower curtain for sure! Will definitely make your bathroom a happier place to be! Perfect for a white bathroom! 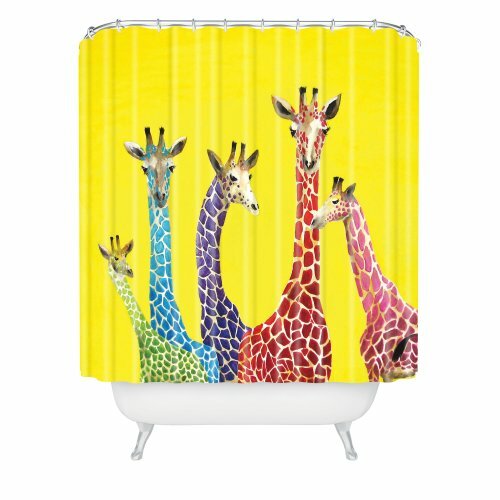 How cool, colorful and funky is this awesome giraffes shower curtain? I love giraffes and I love colors! 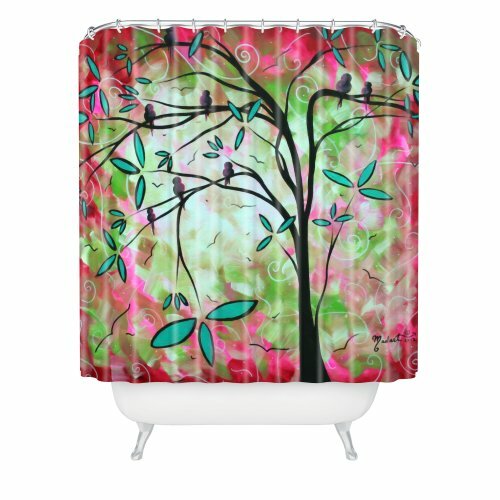 If you are looking for cute shower curtains for your bathroom how about this cute and colorful birds on tree branches one? Now you can sing with the birds! Mosaic and abstract designs are always fun and funky! Can anything spell funky more than these ‘colorful squares’? If you love colors and cool stuff, this is the perfect shower curtain for you! Also great for a teenage girl’s bathroom! Now it’s time for some colorful circles on gray! 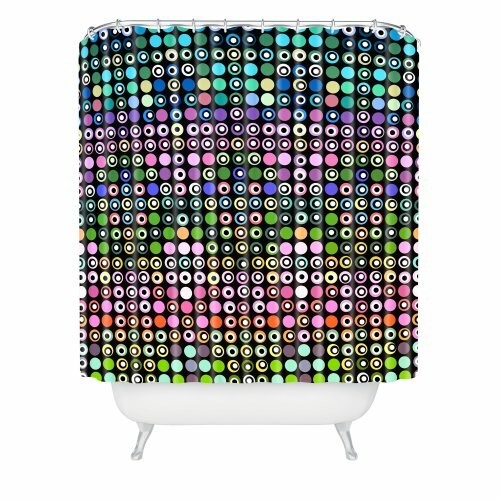 This beautiful and very colorful shower curtain rocks! *I hope you had fun choosing a funky shower curtain for your bathroom! How about also getting a cool and unique decorative toilet seat? The Most Unique Decorative Toilet Seats for Sale! I’m looking at the colorful RAINBOW shower curtain. Do you also make a window curtain to match? Hi Agnes, thanks for visiting! I don’t design window curtains, I’m sorry, but that is a great idea!